Ahead of the parliamentary elections on December 6th, many opposers of the current government have been protesting the unstable economic situation. Many of the protesters support the Democratic Action Party, known simply as the “opposition” in Venezuela. In some areas, the opposition has a 30 point lead in the polls over Maduro’s socialist party and many are hoping that a congress with a majority of Democratic candidates will shift the power out of Maduro’s hands.2 But, there cannot be elections without scandals; recently, Luis Manuel Diaz, the secretary of the Democratic Action Party was fatally gunned down at an event in central Venezuela.2 It is believed that this is the work of colectivos, groups controlled by regional bosses taking orders from the central government. These colectivos have stirred up violence in the past and could create further violence if protests against Maduro continue in the capital. Supporters of the opposition are hoping to gain a majority in congress, but without the watchful eyes of many international observers, such as the Carter Center and the Organization of American States, the election will be watched by the corrupt Venezuelan election officials. There is a fear that even if opposition candidates win, they will not make it to their rightful positions. Along with the shooting of the secretary of the opposition, many Chavista officials and politicians have been disqualifying or jailing the opposition, creating confusing ballots for the election, and using unchecked government resources to support their campaigns and other efforts.1 If the Democratic Action Party wins, this could result in a recall vote that could terminate Maduro’s presidency whose term ends in 2019. It could also potentially help turn around the economy. But, Chavista politicians have been in control for the past 15 years and seem unwilling to relinquish control to an opposition party. As a result, even if democratic elections are held, a democratic outcome might not be well-received. 1)Miroff, Nick. "Venezuela Heads for Pivotal Election, without a Referee. "Washington Post. The Washington Post, 30 Nov. 2015. Web. 02 Dec. 2015. 2) Ordoñez, Silvana. 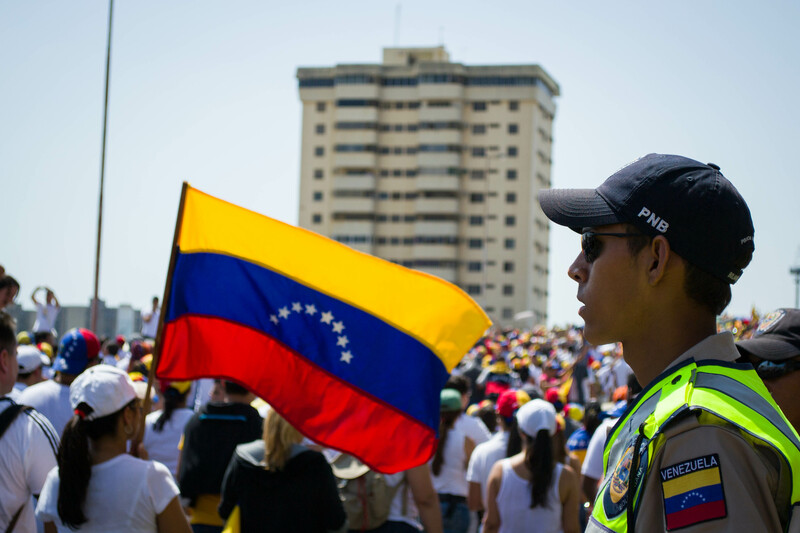 "Venezuela Teeters on the Edge Ahead of Elections."CNBC. CNBC, 30 Nov. 2015. Web. 02 Dec. 2015.